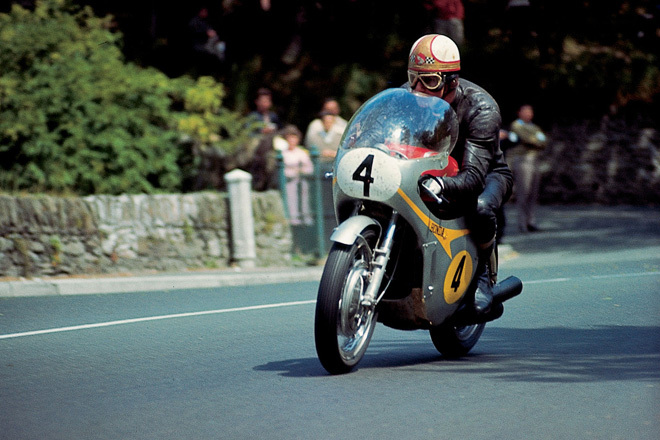 Considered by many experts to be the best motorcycle road racer ever, Mike 'the bike' Hailwood is a legend to whose achievements other riders can only aspire. He took his first world title at the age of 21 and went on to win eight further crowns with a total of 76 Grand Prix victories. Only the great Giacomo Agostini and Angel Nieto can claim to have enjoyed such success. In 1959 and 1960, Mike won nearly every national race he competed in. Success in the World Championship was harder to come by, however, he was riding against factory teams with the latest bikes. Nethertheless, he still won in Ulster and further podium finishes secured 3rd place in the 125s and 5th overall in the 250s. During the next season, he raced in the 500cc class for the first time and finished an impressive 6th. 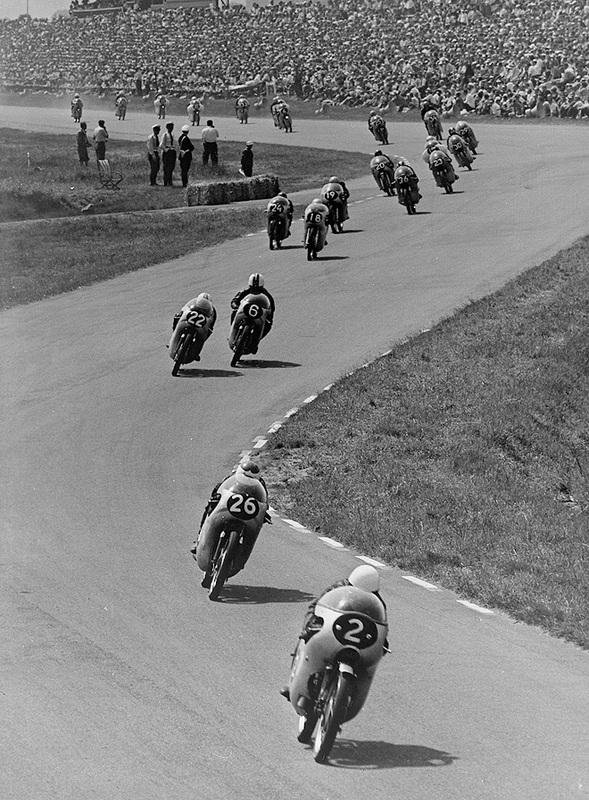 By 1961, Hailwood was undoubtedly the most promising young rider in the World Championship, but incredibly, he was still racing as a privateer and often on borrowed machines. 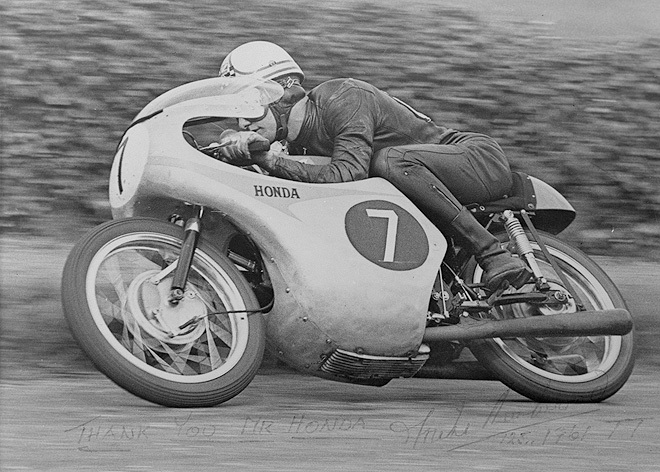 Honda lent him a 250cc four-cylinder RC162 but it had few of the ultra-lightweight components used on the factory bikes. 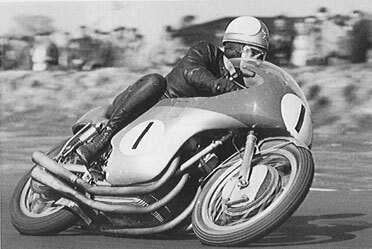 One of the most well-loved riders of all times, Hailwood was the initiator of the frog style, with the knees pointing outwards. He raced and won in all the classes, including the 125, which certainly was not suited to his height. He led difficult motorcycles such as the MZ 250 and the first Honda 500 to victory. He reached the finish lines despite some frightening falls. 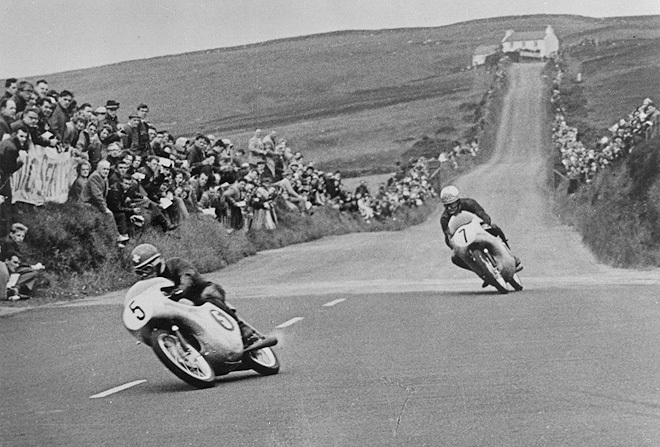 He won a TT race even after spending years away from the world of motorcycling and a nasty car accident, still with a manner marked by exemplary fairness with his rivals. Born into a wealthy family in Oxford in 1940, he started racing at the tender age of 17 with the help of a sizeable cheque he received from his father that he used to buy a semi-official MV. He became official in 1961, and was MVs leading man after Hocking pulled out in 1962. 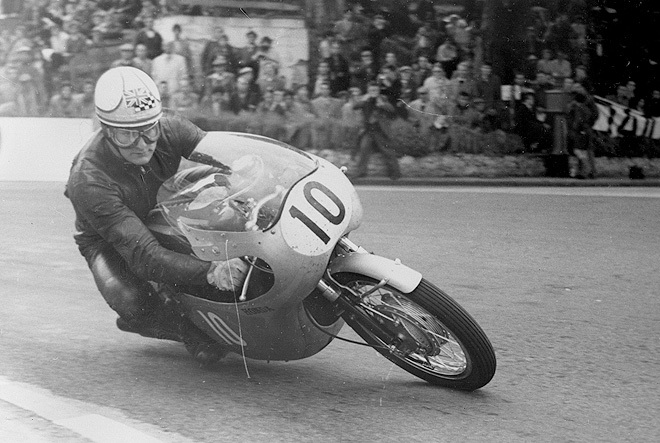 He then won four consecutive titles with the 500 from 1962 to 1965. He went to Honda in 1966, and his memorable duels with former team-mate Agostini elated and divided up fans. 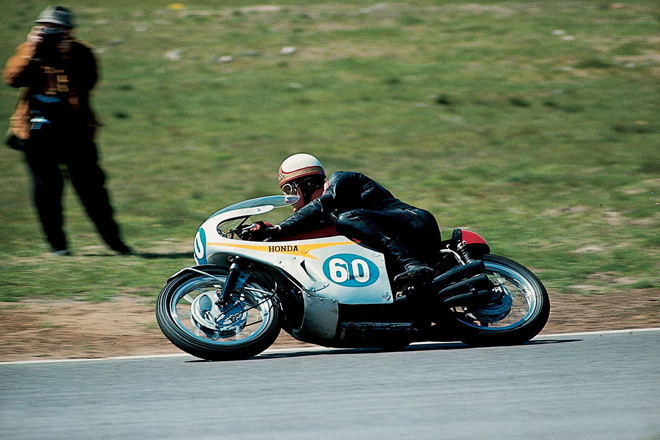 After turning to car racing with satisfactory results, Mike the Bike made occasional appearances in motorcycle races in 1971 and in brilliant T.T. exploits of 1978 and 1979. As a mocking sign of fate, he died in an ordinary road accident together with his young daughter Michelle on 22 March 1981.